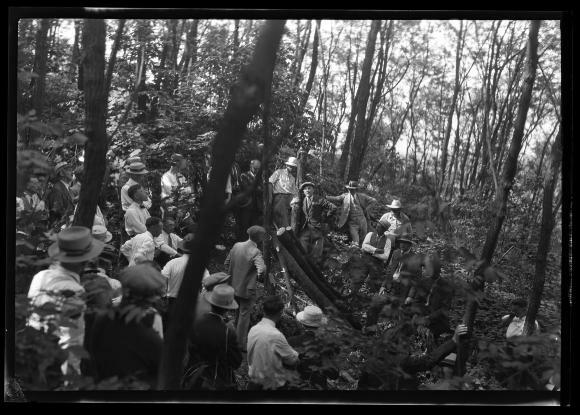 A group of men cut posts from 16-year-old Black Locust (Robinia pseudoacacia) growing on James Keogh's farm near Warsaw, N.Y. Due to their extreme hardness and resistance to rot, Black Locusts are prized as fence posts. This image was created to record the reforestation efforts of the New York State Conservation Department. Source: New York State Archives, New York (State). Conservation Dept. Photographic prints and negatives, [ca. 1904-1949], 14297-87_3250.